OH WHAT FUN IT IS TO QUILT! GIFT YOURSELF SOME HOLIDAY CHEER! A FEW OF OUR FAVORITE FREE THINGS! Gifts with purchase worth lots of jingle. DASH AWAY, DASH AWAY ALL! Limited time offers on machines and more. Special finance offers that bring comfort and joy. 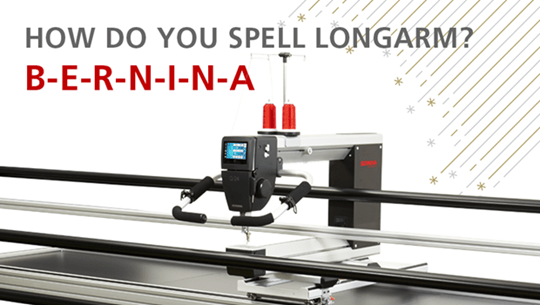 Bernina Be Your Own Santa!